Public statues have power. They depict commanding, intimidating human figures in a form larger than life. There are a few exceptions: The Royal Mile in Edinburgh has a philosopher lounging in a toga (anachronistically, since David Hume was a man of the eighteenth century), and more famously a small Skye terrier. But it's much more usual to see a king, general or warrior. 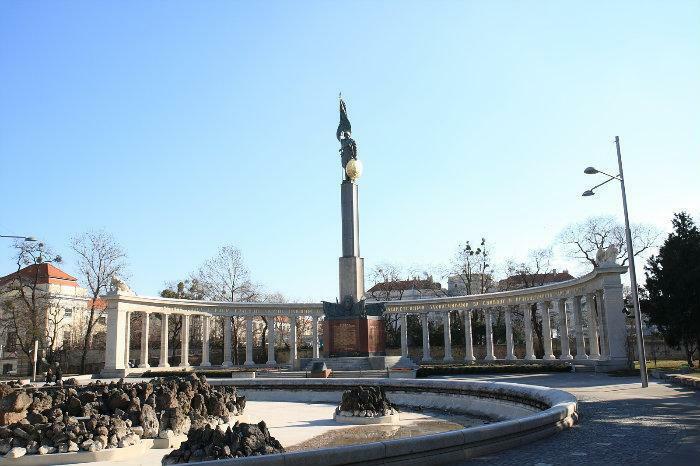 The one which affected me most was the Soviet war memorial in Vienna. It's not the biggest or the most famous. That was part of its strength; I wasn't expecting to come across it as I ambled in the direction of the Belvedere art museum. Even by the standards of Stalinist public artwork, it is not subtle. It consists of a grand colonnade and a twelve-meter statue of a Red Army soldier with a submachine gun, all of it inscribed with Cyrillic lettering. Using a different alphabet, in the middle of this German-speaking city, made it look more alien and imposing. Ostensibly it's a memorial to fallen Soviet soldiers of the Austrian campaign, but the underlying message is simple and clear: We beat you. We took over your capital. If you give us cause, we might do it again. 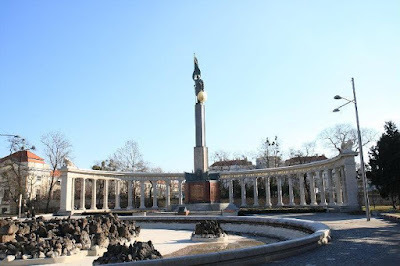 To its credit, the Austrian government has maintained the memorial. It's generally accepted that in 1945, the Austrians were on the wrong side. It's my estimation that every man ever got a statue made of 'im was one kinda sumbitch or another. Winston Churchill and Oliver Cromwell both have statues in Parliament Square in Westminster. Churchill was the hero of the war against Hitler, but also an unashamed imperialist who advocated the deployment of poison gas. Cromwell fought for the rights of Parliament and executed a king for treason; but he also ruled by military dictatorship, enforced a harsh Puritan ideology, and committed massacres in Ireland. I can see the case for opposition to these statues, especially for Cromwell. I think that on the whole, they are positive enough figures to be worth commemorating; keeping in mind that while commemoration may be justified, uncritical hero-worship is not. With Robert E Lee, history is not so ambiguous. Lee had no great accomplishments for the betterment of humankind. He is known for one thing and one thing only: Fighting a war for the continuation of slavery. His skill in battle and personal sense of chivalry do not excuse that. 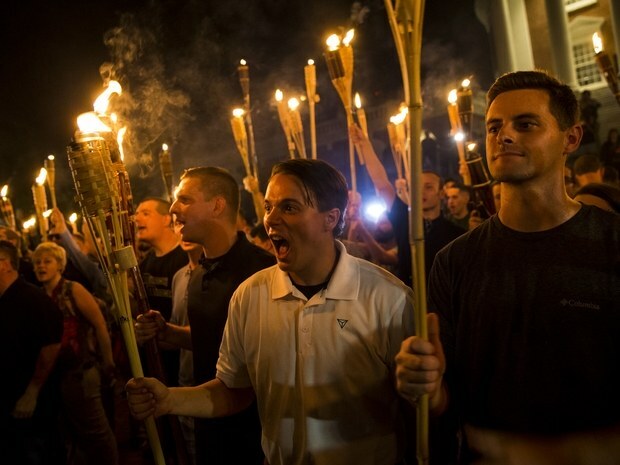 The Charlottesville statue isn't a relic from the Civil War era. Like many others of its type, it was raised in the 1920s by an intensely racist local government, which openly celebrated segregation and white supremacy. Looking at such statues, black Americans might feel a chill; a little like an Austrian who sees that Soviet giant with his gun. The difference being, of course, that African-Americans are blameless; few peoples in history have suffered so much injustice. I am not sorry to see the statues go. I only regret that the shameful throwback who occupies the White House is unlikely to follow them in the near future.